Richa is one of the most level headed and result driven, dedicated professional I have worked with. 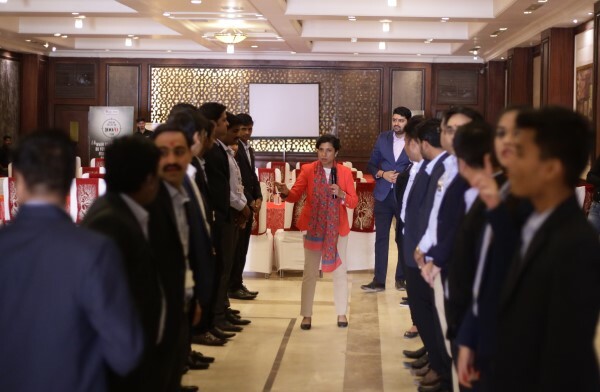 She plans and executes in an organized way necessary to bring success to each of her stakeholder’s.She has been asset to the organization & key player to its success. Finesse has been very resourceful in crafting changes within the organisational structure. In Richa I’ve not only found Proffessional excellence and Rigour but also a Committed Friend with a passion to see you excel. Would highly recommend their proffesional services. Finesse, led by Richa epitomizes customer focus and deep expertise in the wide landscape of HR and OD solutions. We have been in a class together and the insights Richa brings in the area of human behavior is commendable. I have seen Richa working closely with some of the most successful and demanding clients – creating value for them by understanding their business need, conceptualizing creative solutions and flawlessely executing them. Richa is a valued business partner and we look forward to working with her in delivering value for clients. In nutshell, I can see a total revolutionary transformation in the employee mindset & building of a very healthy Culture & Environment. We have worked with Finesse, for HR consultancy, training programs, and other programs. We have found them to be very professional in their approach, and have added value to our system. The programs are full of energy, and are good team motivators. Richa and Sunir are hardworking, and can be trusted change agents for adaptive organisations. Director Tempsens Instruments Pvt Ltd. This is to put on record our appreciation for the work you have done at our place. 1. Providing information to us. 2. Solving our problems. 3. Making a diagnosis, which necessitated the redefinition of the problem. 4. Making recommendations based on the diagnosis. 5. Assisting with implementation of recommended solutions. 6. Building a consensus and commitment around the corrective action. 7. Facilitating our learning—that is, teaching us how to resolve similar problems in the future. 8. Permanently improving organizational effectiveness. Want to start a new project with us? Let’s Start! © Copyright finessenow. All Rights Reserved.